Our range of products include hgm72 genset controller, genset controller and genset controllers. 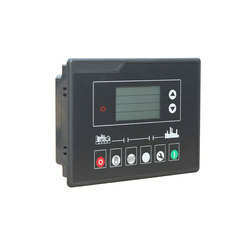 The Model HGM72 is an Automatic Engine Control Module. The module is used to automatically start and stop the engine, indicating the operational status and fault conditions, automatically shutting down the engine and indicating the engine failure by LED on the front panel. Modular configuration design, inserted type connection terminals, flush type installation, compact structure, easy installation. 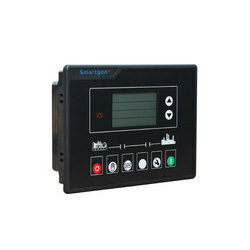 Our Genset Controller is an automatic controller. It is manufactured from high quality raw materials and is used to automatically start and stop the engine indicating the operational status and faulty conditions. It indicates engine failure through the LED on the front panel. We also test our product to ensure that they are easy to use and durable. aOur company is involved in offering Genset Controller in various standard and non-standard configurations. It is used to automatically start and stop engines indicating the operational status and faulty conditions. It automatically shuts down the engine and indicates the voltage and power display through a LED display.